Bring Amish beauty to a table near you! Our Amish Table Lamp is a gorgeous option to light up your dining room, living room, bedroom, and beyond with the exceptional quality of Amish craftsmanship. Handmade in the heart of Pennsylvania Amish country just for your home, our Amish Table Lamp is sure to anchor any room whether you choose to purchase a pair or a single lamp. 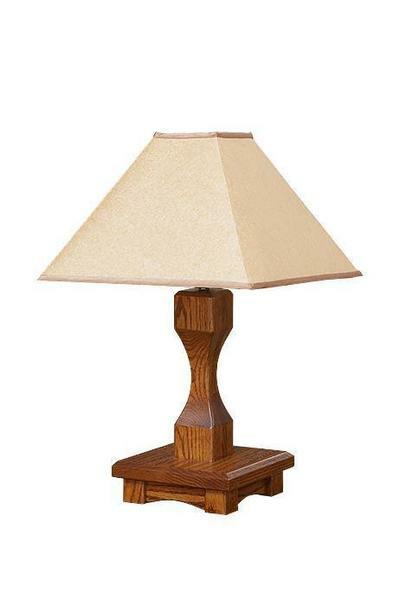 Set your space apart with a lamp that is made with care by expert craftsmen. If you have any questions about our Amish Table Lamp, please feel free to get in touch with our friendly, knowledgeable team by calling 866-272-6773. Should you find yourself in the Sarasota, Florida area, stop by our Amish furniture store to see DutchCrafters in person. Thanks for shopping with us!